Madame Galen (Campsis x tagliabuana 'Madame Galen'): growing, planting, caring. A cultivar with an impressive red-orange flowering. This cultivar will tolerate very moderate frost if placed in a sunny and sheltered situation. Grows up to 10 m high, with 30cm long compound leaves and trumpet-shaped, red-orange flowers in groups of 6 to 12. 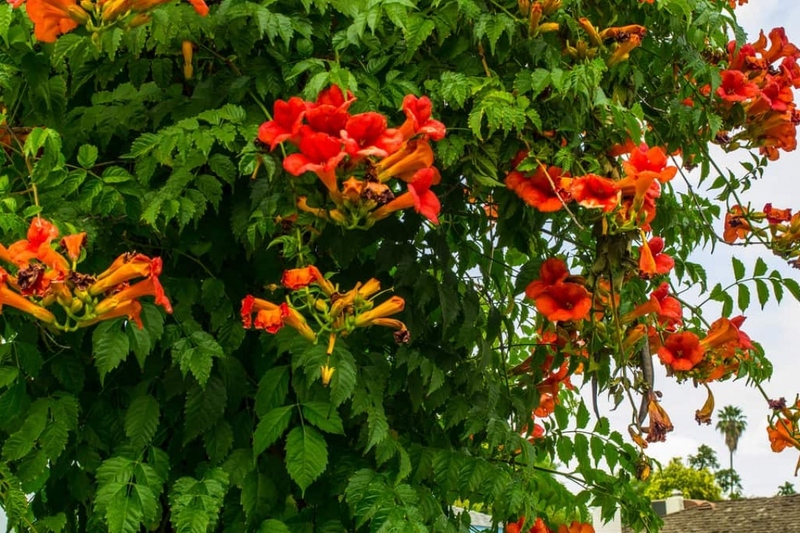 'Madame Galen' is recognizable by of flowers that are grouped into terminal panicles, in the shape of an orange-red trumpet. It also has pinnate compound leaves with oval leaflets.